With an unpopular Republican president presiding over a slumping economy, soaring fuel prices, and two wars in the Middle East, Republicans face an uphill battle in many of this year’s Senate races. Running for President of the World? On July 24, presidential candidate Barack Obama arrived in Berlin in a stop sandwiched between visits to Iraq, Afghanistan, Kuwait, Jordan, Israel, and the Palestinian territories beforehand, and subsequent stops in Paris and London before heading back to the United States. In the three cover-story articles that are linked to on this page, we profile the top three heavyweights for president. On the Democratic side, Barack Obama appears to be the probable nominee, but Hillary Clinton is still in the running and neither candidate is expected to gain enough pledged delegates to lock up the nomination. On the Republican side, John McCain already has the delegates he needs to win. While much of the nation’s political attention this summer and fall will be focused on the presidential election, voters will once again determine the makeup of the legislative branch, electing the entire House of Representatives and one-third of the Senate. While we can’t cover all 435 House races, we offer here a brief look at a small sampling of the interesting candidates, issues, and races in this year’s elections. While Representatives Tom Tancredo, Ron Paul, and Duncan Hunter were in the presidential race, immigration and border security were pushed to center stage. How the front-running candidates compare when the rhetoric is peeled away. 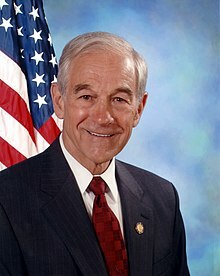 With a letter sent to supporters on June 12, and with a speech delivered at a rally coinciding with the Texas GOP convention in Houston that same day, Congressman Ron Paul ended his campaign for the presidential nomination of the Republican Party. He did not win any primaries, but he got 24 percent of the vote in Idaho (his best showing in a primary) and about 1.2 million votes overall. It took six ballots before Bob Barr, a former four-term Republican Congressman from Georgia, won the nomination of the Libertarian Party at its Denver Convention on the Memorial Day weekend. Thanks to the alternative news media, many conservatives are familiar by now with some aspects of Senator Barack Obama’s (D-Ill.) Global Poverty Act of 2007 (S. 2433). Although this bill should definitely be opposed, some misunderstandings have arisen regarding exactly what the bill calls for.